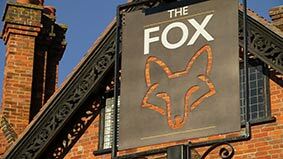 We are extremely excited of our new acquisition The Fox & Hounds Pub in Crawley near Winchester. The Fox has been closed for over 18 months now, closing due to high rents and expensive brewery beer. We purchased the freehold property from the Brewery in May 2017 and applied for planning permission on this beautiful grade 2 listed building circa 1780. The support from Crawley village has been amazing, the Crawley villagers are desperate to have their pub back and re-opened and their support and help during the planning process has been excellent throughout. We have now achieved our planning permission from WInchester City Council who have also been extremely helpful in guiding us through the process. The project is a full and total refurbishment of the existing building with an extension to the rear. The design , By Design Engine Winchester, is stunning and incorporates the Craft era of the building. We have created an additional 18 car park spaces and will be converting the 2nd and 3rd floor of the existing building to 5 letting B&B suites. We have also extended the kitchen with a complete fit out and new design. We are expecting to open early Autumn. It’s going to be an amazing project and we can’t wait to get open serving delicious local produce, craft IPA’s and traditional local beers. There will also be a few cocktails I am sure.